Al Masry head coach Hossam Hassan assured that he has no intention to leave the club as he shares a very special bond with the fans. After failing to win their last two fixtures, Al Masry are currently sitting four points short of Ismaily on top of the league and the frustration of the fans in some way is delightful for their current coach. Hassan has a joyful feeling for how he has set the expectation standards high at the club and with only two winless games, the coach promised the fans there is nothing to worry about and that his squad is still in the title race. 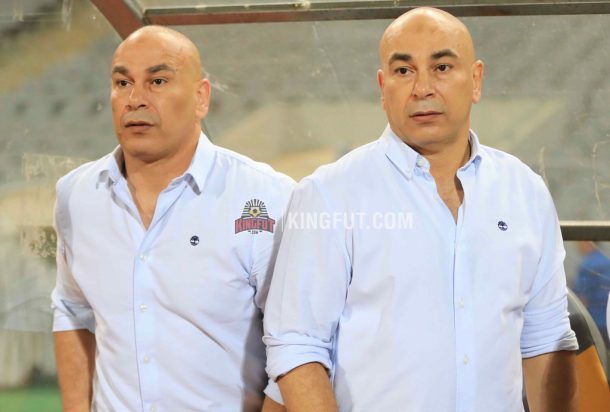 After the new signings and with the return of the injured players, the coach is confident the displays and results of the team will soon improve, as he also shared the love and affection he and his brother share towards the club back since the days when they used to play for the Port Said side.